The Drinking Water Quality Regulator for Scotland has published the annual report on the quality of drinking water in Scotland. It highlights some public health concerns across Scotland. Media reports have expressed some surprise that the overall quality of water in Scotland is worse than in England. I remember when Sam Galbraith was the water minister, he was so shocked at this that he carried around slides with charts that illustrated this point. When Sam was the minister this was an issue, but less so today. Scottish Water has improved compliance rates in the last ten years so that 99.86% of samples are now compliant. Last year also saw a 31% decrease in customer contacts about water quality. We should also remember that Scotland's geography, pipes and storage units create special challenges for Scottish Water. Further progress will depend on completing the massive capital programme that has delivered water quality improvement in Scotland far more cost effectively than the privatised utilities in England. DWQR is of the opinion that the pace of improvement in microbiological compliance at storage points is too slow and more rigorous investigation of failures needs to take place. Trihalomethane compliance (by product of disinfection process) at the taps was similar to 2011 and is still too high. A warning that Scottish Water cannot rest on its laurels or put cost cutting ahead of compliance. Scottish Water also needs to recognise that two of the major incidents involved contractors that they have less control over. Outsourcing has its downside. Private water supplies (PWS) are drinking water supplies which are not the responsibility of Scottish Water but of their owners and users. Enforcement is the responsibility of local authorities and the regulator is concerned over the reduction in inspections. Only two councils met the required standard. As UNISON has highlighted, this is due to council staff cuts and, as in food and other safety inspections, public health is being put at risk. The quality of all PWS, continues to be of concern to the regulator. Of 2,158 tests on Type A supplies for E. coli, which is used as an indicator for faecal contamination, 333 (15%) contained E. coli and therefore failed the standard, a similar proportion to 2011. As a comparison, less than 0.01% of public water supplies failed the standard. Coliform bacteria were found in a third of private supplies. Failures are even happening in supplies where there is disinfection. One type of contamination that most people think has gone is lead. Scottish Water has removed lead pipes from the distribution mains, but it has not been removed completely from the system. Scottish Water does not hold detailed records of all their communication pipes, but as a result of an FoI request by Utilities Scotland they estimate 72,000 of the 1.8 million communication pipes in Scotland are lead. Scottish Water is not the owner and therefore not responsible for the privately owned supply pipes to properties and nobody appears to know exactly how many of these are still lead. However, it has been estimated that 40% of UK homes still have lead supply pipes. Although the majority of lead piping is privately owned and therefore outside Scottish Water’s direct control, the company does have a responsibility under the Regulations to minimise the extent to which the water supplied dissolves lead. The standard for lead will reduce from 25μg/l to 10μg/l at the end of 2013, and the regulator states that Scottish Water needs to continue to implement measures to reduce the amount of lead in water supplies and produce a documented strategy for doing so. The eight failures last year would rise to 31 under the new standard. We should remember these are only sample failures. The actual levels of contamination will be many multiples of these samples. Recent medical opinion suggests that lead concentrations should be as low as possible, hence the improving standard. Actually, there is no safe level of lead contamination and this is an issue we should be addressing. In February this year Utilities Scotland highlighted the debate starting in England over this issue, including moving control of supply pipes to water companies. We should be having the same debate in Scotland as well. Water quality is a subject that doesn't get much attention in Scotland. There are commercial sensitivities given the association of high quality water with mineral water and whisky industries. However, this should not stop a debate around issues like private water supplies, inspection levels and lead contamination. Public health must come first. Cross posted from Utilites Scotland. Professor Brian Quinn, formerly Deputy Governor at the Bank of England has fired a damaging salvo at the SNPs post-independence currency union plan. Or perhaps a cruise missile is more (or less) appropriate today! This view follows similar concerns by Professor Armstrong and reflects the views I set out in earlier Red Paper publications and will be developed in my chapter in our forthcoming book. The significance of Brian Quinn's comments are that he is a very credible commentator. As Bill Jamieson points out in today's Scotsman, Brian Quinn is not just another opinion. "He is honorary professor of economics and finance at Glasgow University, having been head of banking supervision and executive director of supervision and surveillance at the Bank of England and served as deputy governor. He was for ten years a member of the Basel committee of banking supervisors. After retiring from the Bank, he was appointed adviser to the Monetary Authority of Singapore and to the central banks of Chile, Colombia, Venezuela and Malaysia on banking supervisions and crisis management. He also worked with the International Monetary Fund, the World Bank and McKinsey as a consultant on financial supervision in several countries. He is hardly “just another opinion”." Bill's piece also covers another aspect of Brian Quinn's comments, the impact on the banking system. Another area he is well qualified to comment on. The detail of this key area will all be left to post referendum negotiation. As Bill Jamieson puts it, "the vital terms and conditions of an independent Scotland’s membership of currency and monetary union together with arrangements for the regulation and supervision of Scotland’s banks would still need to be negotiated and agreed – and all of this after the referendum vote, leaving the proponents of independence asking Scottish voters to agree a “Trust Us” carte blanche manifesto." The problem for SNP strategists is that the alternatives are politically difficult. The Euro is not exactly in good shape, comes with its own strings, and we probably wouldn't meet the entry criteria anyway. We could tag along with the pound or the Euro, dollarisation as it is known. Having spent my summer holidays in Montenegro, it works on a practical level, but you are left with few economic levers as they have discovered to their cost. Finally you can go with an independent currency. An option advocated by Jim and Margaret Cuthbert in their paper for the Reid Foundation. This has its pros and cons economically, but has huge political problems selling an unknown currency to the voters. Rock and hard place doesn't begin to describe this problem for the Scottish Government. Scotland's Further Education colleges have born the brunt of education cuts as a new Audit Scotland report confirms. Audit Scotland have published a report today on Scotland's colleges that confirms the scale of budget cuts and the consequential impact on jobs and courses. Debunking Scottish Government spin on this issue. The first key finding is that there was a cut in SFC grant funding (government cash) of £56 million in real terms compared to 2010-1. This contributed to colleges’ overall income falling by nine per cent. The college sector faces an overall 11 per cent real-terms reduction in revenue grant funding from the Scottish Government between 2011/12 and 2014/15. The chart below illustrates this cut very clearly. The reclassification of colleges as public bodies will also make it more difficult to build up financial reserves as a cushion against budget cuts. The report also highlights that college reserves have been raided to pay for the Government's college centralisation plans, contrary to the Griggs report recommendations. The second key finding is that student numbers have been slashed through a cull of part-time places. Again this chart illustrates the cut clearly. The report looks ahead to the impact of mergers and highlights very real challenges for the sector. Every bit as challenging for the students who have to travel from what was a local college to a regional one. It highlights the needs of older people and others who rely on part-time college places. Most of the cuts have come from staff costs, to be expected in a staff intensive sector, but the report rightly highlights the challenges going forward in maintaining quality. The SFC has already lowered its expectation of the amount of college learning that can be delivered by around 4%, with a further 5% this year. The Auditor General, Caroline Gardner, sums it up well, "Income has fallen significantly and this will continue for the foreseeable future. Colleges will have to manage these funding reductions and changes in structure and status while meeting local communities' demands for further education." Given the effort to spin college cuts away, this report is a useful reminder that further education has taken the brunt of education cuts in Scotland and college learning will suffer as a consequence. Parliament will have another go at health and care integration next month with the Public Bodies (Joint Working) Bill. But will this be any more than moving the managerial deck chairs? Proposals for the integration of health and care services go back at least to the 1970‟s when the first joint finance arrangements were introduced. Since then we have had at least eight different initiatives and Acts, plus many reports. Staff who deliver these services could be forgiven for taking a somewhat cynical view of yet another reorganisation. Almost everyone believes that health and care integration is a good idea in principle. However, the evidence from a range of studies indicates that structural integration in itself, and top down change in particular, does not deliver anticipated levels of service improvement. Petch (2011) states: “Differences in culture and in values and differentials in power tend to distort any blueprint and to undermine any projected model. Moreover major financial and time resources can be absorbed by attempts to implement such structural change without demonstrating effective outcomes”. These studies also show that local implementation is the key to effective service delivery across health and social care and that depends on culture, leadership, local history, context, time and vision. If local implementation is the key, the apparent flexibility in the Bill for councils and health boards to agree a form of integration that meets local circumstances is to be welcomed. However, it may not be that clear. When you read the Bill, line by line, you are left with the impression that Scottish Ministers are granting themselves an extensive battery of powers to centrally direct their model of integration. Reserve powers of direction are reasonable, but this Bill goes much further and could result in a significant centralisation. Ministers can set outcomes that could be prescriptive - notably without any requirement to provide ‘inputs’ i.e. resources. They must approve integration plans and have wide ranging powers to direct and set out requirements in regulations. Overall these powers reflect the NHS performance management approach that takes little account of local democratic accountability. Lets not forget that some £2.1bn of council spending is involved. As these services are staff intensive you would have expected some detailed consideration to be given to the staffing aspects of integration. In which case you will be disappointed. The staffing provisions in the Bill are limited to contract protection aspects of TUPE only. There is no staffing framework as UNISON has proposed and this will, at best, lead to reinventing the wheel or at worse disruption. In addition there could be legal confusion over staffing decisions made by integration boards when they are not the employer. Part 2 of the Bill includes shared services powers for the CSA and the establishment of Joint Ventures. These are enabling provisions, except that in Part 1 of the Bill ministers have powers to approve plans and direct contracts and services. There is scope here for further privatisation and the Financial Memorandum indicates that regulations could direct third sector involvement. All too often on this issue there is a confusion between community engagement and ‘commercial’ voluntary sector delivery interests. £150k has also been provided to the private sector to support their engagement. On costs, the Financial Memorandum is somewhat speculative and vague. The big financial gain from integration is supposed to be NHS bed costs from unplanned admissions. This has been estimated at around £1.5bn. However, these savings are only realised if the beds are closed and the Health Minister has put a big question mark over that. Glasgow and Lothian health boards have also recently called for more beds not less. I would also question if VAT will be recoverable by integration boards under the s33 exemption - remember the police and fire debacle on this point. £32m to the Treasury, rather than care services, would be an outrageous waste. Overall, the powers in the Bill don't match the rhetoric of local solutions. There is a real concern that the centralising tendency of government, overrides the strong evidence that top down direction doesn't work. THIS summer our newspapers have been full of stories about healthy bread, sausages and the risk of sugary drinks, to name but a few. While healthy eating is important, we ought to take a closer look at what’s happening earlier in the food chain. In this article in the Scotsman I take a look at these plans and the implications for Scotland's new food safety body. In the wake of the horse meat scandal we should be strengthening regulation not weakening it. The lessons from 'light touch' regulation need to be learned. Consumer protection - the case for independence? The Scottish Government’s policy paper on consumer protection rightly makes the case for these services to be run in Scotland, but its solution is another predictable centralisation of services. Devolution or independence shouldn’t stop at Holyrood. The Scottish Government has published a paper ‘Consumer Protection and Representation in an Independent Scotland: Options”. The paper recognises the fundamental importance of providing a robust legal framework of consumer protection, supported by consumer bodies with a voice strong enough to be heard, and powerful enough to take action when consumers are harmed or at risk. This is all fine and good and a welcome absence of deregulation rhetoric for a change. At present most consumer protection matters are reserved to the UK Parliament, but responsibility for enforcing consumer protection lies with local authorities’ trading standards departments. In addition, responsibility for consumer education, information, advice and advocacy in certain subject areas is reserved to Westminster whilst other related areas (such as policy relating to legal education and financial capability) are devolved. UNISON Scotland has argued that consumer protection should be devolved based on the subsidiarity principle. The paper sets out a number of issues that an independent Scotland could address including nuisance calls, delivery charges and the regulation of pay day loans. However, with the possible exception of delivery charges, these issues could just as easily be addressed in a UK framework and certainly under greater devolution. While these are important issues, they are clearly not as important as some big consumer protection schemes such as the pensions guarantee scheme or protection of bank deposits. These do not feature in the paper and some would argue are the sort of schemes that benefit from the economy of scale the UK can deliver. The case for consumer protection in an independent Scotland is fairly made in the paper and reflects the arguments we have previously made for devolving many of these services. The paper also makes reference to the 2012 Audit Scotland report on trading standards. That report stated “that the long-term viability of councils’ trading standards services is under threat, and urgent action is needed to strengthen protection for consumers”. While we share that concern, we would argue that this reflects cuts in council services more than structure. Centralising these services simply makes them less responsive to local needs, breaks the link with other council services and creates a whole new national bureaucracy. The problem for the Scottish Government is that they are responsible for council financial allocations and the Council Tax freeze that has led to cuts in consumer protection services - albeit in the context of austerity economics from the ConDem coalition. Merging quangos in the form of a one stop Consumer Ombudsman might be a viable proposal, but frankly it doesn’t score highly for me in the case for independence. Larger bodies also tend to go for generic staff that don’t have the expertise in a specific field, something the Francis Report highlighted in the context of English care regulation. UNISON has also argued that competition policy should be devolved. We have highlighted the problem of using the London based bodies to resolve disputes between the Water Industry Commission and Scottish Water. Their expertise is in a private sector utility market and they have no concept of public service. However, this structure was designed and legislated for in Scotland. The Scottish Parliament already has the power to bring this function back to Scotland. There is much in this paper I agree with in making the case for delivering these functions in Scotland under greater devolution or independence. However, it misses the point in some key areas and offers a vision of an independent Scotland that increasingly centralises services away from local democratic control. Not a pitch that will win many converts here! Last week pensions champions across Scotland gathered to consider the latest developments in negotiations for a new Scottish Local Government Pension Scheme (LGPS). The key outcomes are in my latest Scottish Pensions Bulletin. We have made reasonable progress in designing the core scheme to address the changes imposed through the UK Public Service Pensions Act. This is an unwarranted and unnecessary interference in Scottish pension schemes and our task was to minimise the impact. While we can do nothing about the higher retirement age we should be able to deliver a new scheme that has a better accrual rate for the same average contributions. We would have liked to mitigate the retirement age with other improvements to the scheme. However, in the current economic climate members are understandably focused on keeping contributions as low as possible, particularly for low paid staff who are most likely to opt out of the pension scheme. Some 25% of council workers are not in the current scheme and cost is the main reason. Most of these improvements also have a disproportionate benefit to one group or another and pension champions felt that we should focus on benefits that cover most workers in the scheme. More work to do on the details and we hope to present a draft agreement to meetings early next month and hold a ballot of all members in October. One aspect of the Pensions Act that we have less problem with is changes in the way the scheme is governed. These include a new Scheme Advisory Board at Scottish level to replace SLOGPAG and Pension Boards with equal member and employer representation at fund level. Initial discussions have highlighted some differences between unions and the employers on this issue. UNISON has long argued for a more radical reform of pension funds while the employers are focussed on defending the status quo. Discussions will continue and my trade union side paper is on our website. On the issue of governance there is an excellent Radio 4 programme worth listening to, "How You Pay for the City" (hat tip to John Gray). Former fund manager David Pitt-Watson highlights excessive charges in the UK compared to Holland that means the average comparable Dutch pension will be 50% higher than you would get in the UK. The programme sets out the mechanisms fund managers use to maximise their fees at the expense of scheme members and pensioners. It is not just excessive fees by fund managers but also "churn" (excessive buying and selling of stock); stock lending (they lend out your share certificates for a fee), "Custody Banks" and "transitional management". UNISON's Colin Meech explains the implications for LGPS funds. If anyone wonders why we think reform is long overdue, listen to this programme! John Swinney faces some difficult choices in next month’s Scottish Spending Review. It’s certainly going to be bad news for public services and those who rely on them. The Spending Review will have to address the significant revenue cuts announced by the UK Government in the Chancellor’s June statement. As yesterday’s CPPR report highlighted, we are currently only 57% through the total cuts planned by the ConDem government. The remaining cuts will be unevenly spread over the coming years with the deepest cuts coming in the years 2016/17 and 2017/18. While that may suit the electoral cycle of the UK and Scottish governments, Scottish councils may be less happy at this phasing and plan accordingly. These cuts will also have a greater impact on revenue budgets, rather than capital allocations, as the UK government has masked capital funding cuts with greater borrowing allocations. Of course that borrowing still has to be financed and revenue cuts are likely to have greater staffing implications. The total cut is around £2.7bn over the next five years. While the UK government has extended the cuts period by three years, the slow economic recovery does not give much confidence that this will be the end of the story. The scale and time period of the cuts does beg the question, as the CPPR paper does, of the viability of some Scottish Government polices, including the Council Tax freeze. UK cuts are rarely spread evenly across departments and this can have implications, in fairness often positive, for the Barnett consequentials on the Scottish budget i.e. if cuts are mostly in reserved departments. However, the same is also true of the Scottish budget, which means that if the limited health budget protection continues then other budgets, primarily local government, take a greater hit. The Scottish Spending Review will also set out the Scottish Government’s pay policy for the coming year. With revenue cuts of some £400m it is likely that they will continue to view public sector pay as an easier political target than other service cuts. The Office for Budget Responsibility has been forecasting pay increases of around 2.7 per cent in 2014, rising gradually to 4.0 per cent in 2016. Interestingly, that is the forecast the Treasury uses for pension purposes. However, yesterday’s Bank of England inflation report uses the somewhat more realistic assessment that regular pay growth will be around 1% this year. This means that real wages are set to continue falling - the longest pay squeeze in over a century. The BofE also pours some cold water on the ‘boom’ headlines of recent weeks, indicating that economic recovery will remain slow and that has a further impact on government budgets. Ironically, the UK and Scottish government’s have a shared interest in kicking some of the most difficult revenue spending decisions into the medium term. However, the scale of these cuts means that continuing to salami slice services and expecting staff to pay the balance, is not even a medium term strategy. The Law Society of Scotland has set out a series of questions on Scotland's constitutional future in a discussion paper, 'Scotland's Constitutional Future, views, opinions and questions'. Scotland's membership of the European Union - including a call on both the Scottish and UK Governments to publish all Law Officers' legal advice on an independent Scotland's membership of the EU and other international organisations. The impact of independence on the economy - including questions around currency, Scotland's share of assets and liabilities as well as taxation, financial regulation and consumer protection. Judicial and parliamentary restructuring - including questions on whether an independent Scotland should have a written constitution and whether the current model and structure of the Scottish Parliament would work for an independent Scotland. They also highlight another difficulty that has had less coverage. Scotland might avoid the Euro on the same basis as Sweden, or because our likely debt level would not qualify. However, we will still need to nominate financial regulators and it is at least questionable if that could be shared by two member states, not to mention sharing a central bank. The paper calls upon both governments to publish their legal advice on EU membership in order to give the voter some clarity on this disputed point. There is a convention that legal advice to ministers is not disclosed. However, this paper points to several exceptions to this provision in recent years and that the referendum could reasonable be regarded as exceptional circumstances. The Law Society paper rightly states that the electorate deserves to know the consequences of a ‘No’ vote. This includes the powers that would be devolved. They also flag up the constitutional checks and balances needed in an independent country, including the possibility of a second chamber. Not surprisingly, they ask a series of questions about the role of a Supreme Court and Scotland’s position in relation to international law treaties, including human rights. A useful contribution to the debate and questions for both campaigns to respond to seriously. I was out for a drink in Glasgow recently (I know, not a good start for a health blog!) and bumped into a group of psychiatric nurses I used to represent in Glasgow hospitals. We got chatting about work and the impact of the recession on their job. They could all give examples of patients who had been admitted to hospital with a range of mental health conditions linked to their changed economic circumstances. A CPN told me of a patient in the community who lost his volunteering role and other support and is now back in an acute ward. There has been plenty of analysis of the economic and social impacts of austerity economics, but much less on the disastrous effects on human health. Cutting key public services at a time when people need them most. As a result many countries, including the UK, have turned their recessions into veritable epidemics, ruining or extinguishing thousands of lives in a misguided attempt to balance budgets and shore up financial markets. Yet sound alternative policies could instead help improve economies and protect public health at the same time. The charts below illustrate just one example of their analysis. You might think this is a heavy data read and not for me. But the case studies help to break up the data and make this a very readable book. Try it. The long standing North-South row over energy transmission charges may be coming to a conclusion with Ofgem planning to introduce a new charging methodology from April 2014. The current system means that generators furthest away from the main centres of population pay higher transmission charges. It has long been argued that this system discriminates against generators in Scotland and the north of England and has been brought into focus with the large scale development of renewable generation in remote parts of Scotland. The current system compares unfavourably with postal charges where you pay the same wherever you live in the UK. 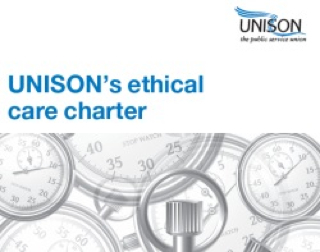 UNISON Scotland has been one of many organisations who have campaigned for the system to be reformed. Ofgem, has edged at its usual snails pace towards reform. Project Transmit was established to consider all the options and while they intend to retain locational pricing, the compromise is to narrow the difference in charges. Under the new plan generators in Scotland will pay an average of £13/kW less (around 50%) than under the current framework and those in the southwest £5/kW more. The immediate impact will be to raise consumer bills on average £1.60 a year up to 2020, although Ofgem expects it to reduce bills by up to £8.30 a year in the following decade. Reaction to the announcement unsurprisingly depends on geography. RWE Npower said the proposed changes represented a "hidden subsidy to Scottish renewables". It commissioned research from consultancy Nera that said it would cost the average household £12 a year to 2030. SSE called the old regime "outdated". A spokesman argued: "Renewables need to be located in remote locations; nuclear has only a few siting options, therefore the extreme costs for remote and northern plant are simply a cost burden for the necessary location of electricity generation plant". Their respective positions are played out in blog posts at Utility Week. Political reaction has generally been supportive, with even SNP MSP Mike MacKenzie welcoming the announcement as, "a step in the right direction". Even if somewhat grudgingly with the additional comment, "That said, it is a disappointment that Ofgem remain fundamentally wedded to a system that subsidises generators in the south of England while landing those in Scotland with the highest charges in the UK". On this basis you have to wonder why the SNP want to stay in the UK market post-independence? Overall, this is probably the best compromise that northern generators could have expected. It has been wrung out of Ofgem who remain wedded to their traditional ideological market position. Not quite a level playing field, but a little less bumpy.